As a child, my parents were passionate about community and our house was open to family, friends, neighbours and often strangers (people who just aren’t friends yet!) The kitch en was the hub of all activity. Sharing in the food prep, squishing 10 around a 6-seater table and passing the plates piled with food, taught me that food + mouths = full tummies, heads and hearts. Pottery is historically intertwined with food and I loved hearing the stories of who gave this plate, how Grammy bought that bowl while travelling in Hong Kong and seeing the special china come out and even better – when I turned 10, being able to actually use those pink floral print dinner plates with the gold rimmed edges with the adults. For me, I love making functional wares that people can use daily to enhance and enrich the eating and drinking experience. I especially love it when my vessels are bought for loved ones and then with every use, that relationship is remembered and deepened. Especially in this fast paced world, I’d like to think that even if you ar e eating or drinking alone, when you use a handmade vessel, that isn’t the case – you are in good company and the Maker is oh so happy to be sharing in that moment with you. 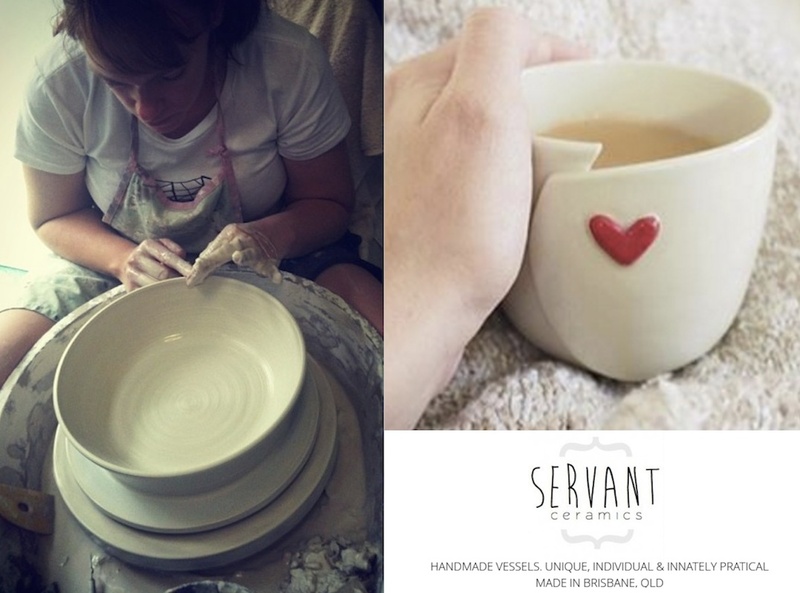 Rachel – proud designer and artisan maker of Servant Ceramics.